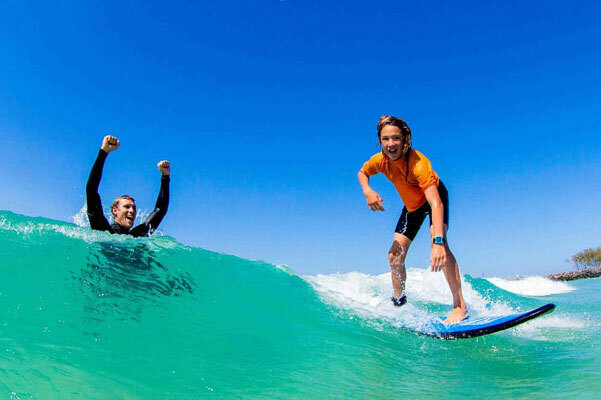 As frequent visitors to Kingscliff we decided we wanted to do something exciting and different for our family vacation - so we decided to try surfing. We booked several back to back sessions over a few days just for our family of five, and it was wonderful. With varying levels of skill and coordination's across our family of five I was concerned it might not work out, but Josh's ability to give each of us what we needed to advance our individual progress and hit individual milestones of success was impressive. 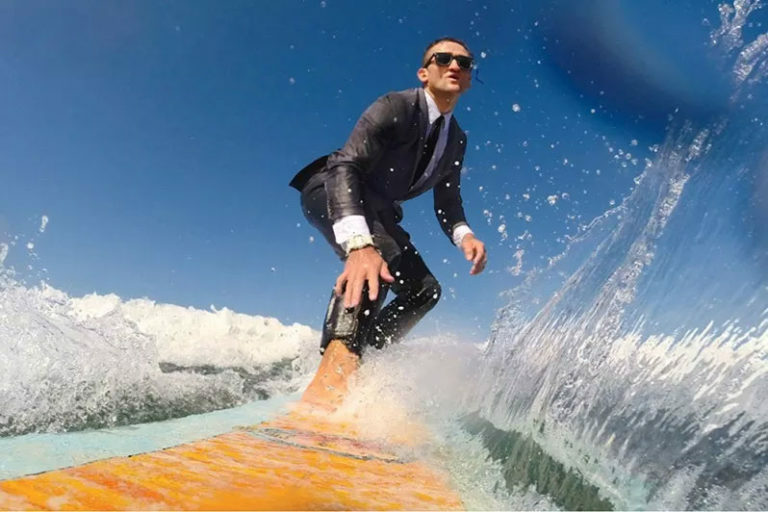 It was not until we mentioned to a local that we were taking the classes that they told me that Josh was one of the stars of the surf documentary 'Isolated' directed by Ryan Phillipe. I highly recommend. Both he surf school and the documentary. 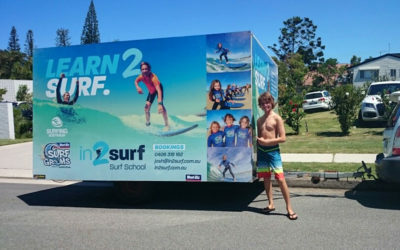 We just had the most amazing 1st week of school holidays attending Surf Groms with In2surf @ Kingscliff. My 2 boys aged 8 and almost 11 came out of the surf everyday so pumped with their efforts. The coaches Belen, Jo, Gracie and Audrey were all amazing - full of encouragement letting the kids reach their full potential in just 1 week. We also made some beautiful new friends - who shared the same passion so that was an added bonus. Thank you so much In2surf! Such an awesome program and highly recommend to anyone who is wondering what to do with their kids in school holidays. They also have other programs available as well - check it out people you won't be disappointed. Josh and his team are wonderful. Tom and Tether are great coaches. Both our kids have attended surf groms and now our youngest is ready to do some coaching with more advanced group. 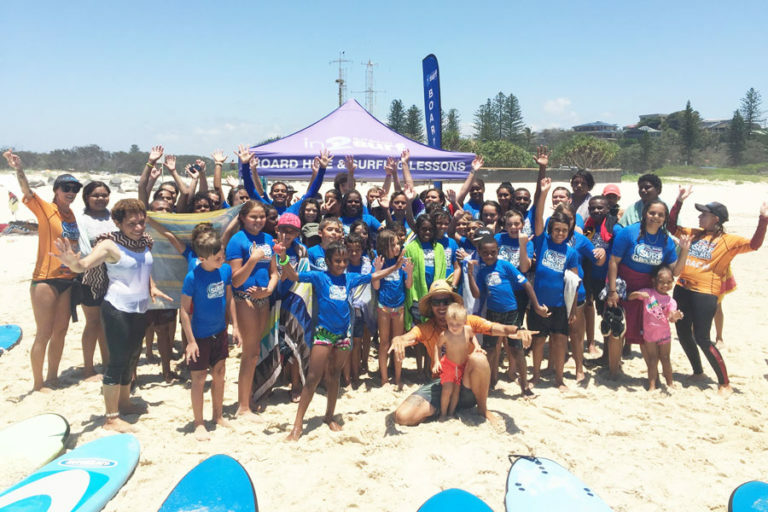 Not only learning the skills to surf but so importantly the safety aspect. So much more confident with the kids living at the beach after what they have learnt at in2surf. At In2surf Surf School it’s about learning to surf in a Fun, Safe and Educating environment. We love teaching people to surf, that’s our passion. But as well, we feel that it is our duty to educate people about the ocean, environment and water safety. When you take a lesson with us you will find us Casual, Personal and Fun! We love this and want you to as well; we will just be ourselves and teach you how to surf without all the theatrical performance and cliché stuff. You will learn how to catch and ride waves, how to use your equipment safely and efficiently, water safety, and importantly how to do all this in a user friendly, low impact, low anxiety entry level lesson whilst having an absolute blast! 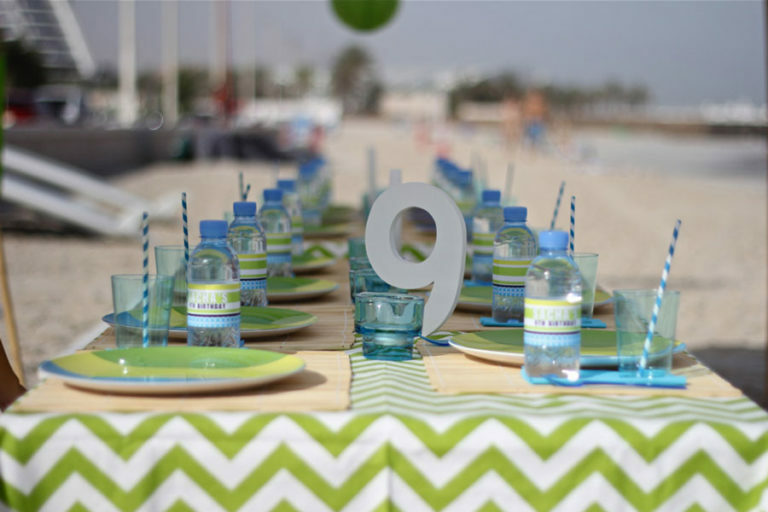 We also cater to higher-level learners, intermediate and advanced levels. Whatever your age or experience level, we will teach you to surf with some of the best instructors in the business. Again, most importantly it’s about having fun and getting you out in the surf to ride the waves! Designed for people of all ages and sizes, male or female. If you have never surfed before, or if you are looking at improving your skills, this is the place for you. 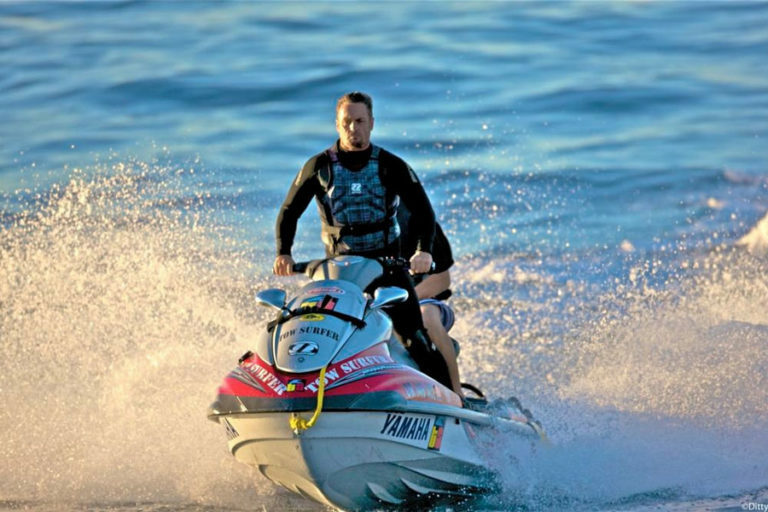 Our instructors are fun loving, highly talented water people, who love to share their passion for the ocean and the sport. The Tweed Coast beaches have great waves, warm clear water, and white sandy beaches set against stunning backdrops of rivers and mountain ranges. 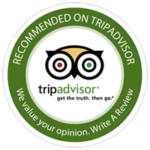 Our Lessons are run primarily at Kingscliff. However we also Cabarita Beach and Hastings point of it is arranged prior to the lesson. We make sure your lesson is a memorable one and have a great time getting out there with our clients. Please note: Day Light Saving Time – we run on NSW time and inline with their day light savings schedule. 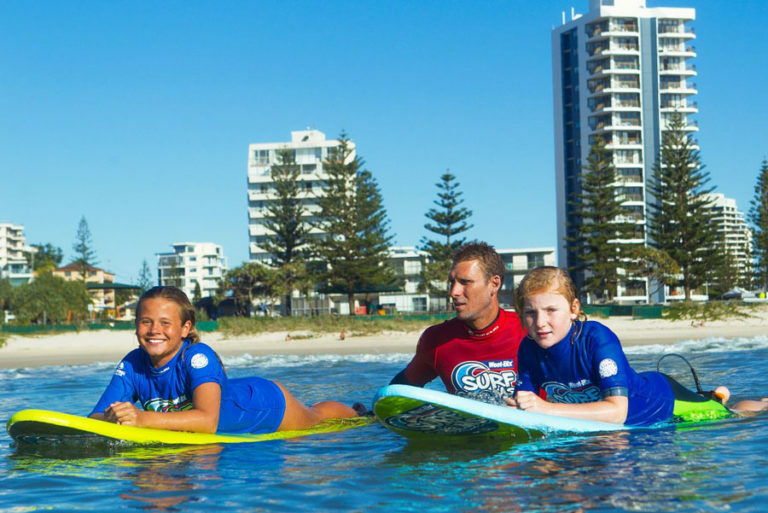 In2surf Surf School is the longest running and most professionally run surf school on the Tweed Coast. 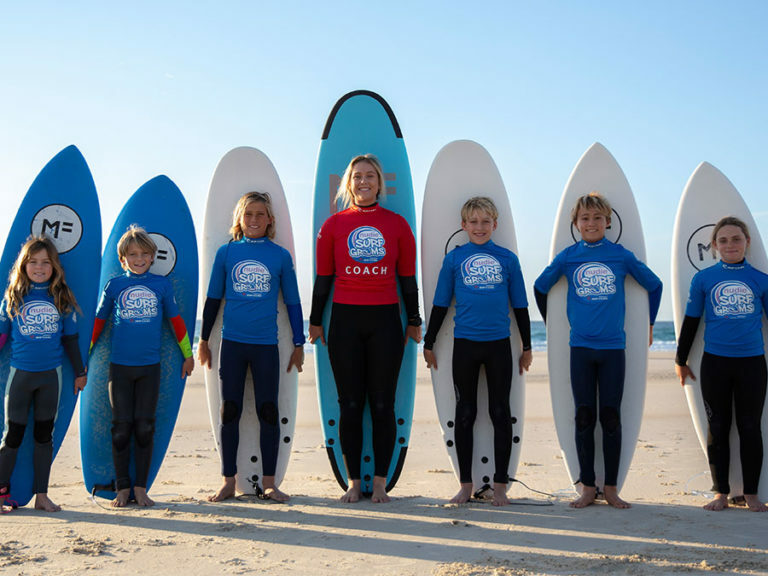 It is the only surf school owned and operated by a lifetime local – Josh and Belen Fuller. We pride ourselves on not only being good instructors but also efficient coaches. We spend a lot of out time learning and sharing amongst our staff to ensure you have the best experience with us. Sign up to our news feed for free, and receive our latest info and offers! You may unsubscribe at any time by following the unsubscribe link at the bottom of every email. It’s that simple!